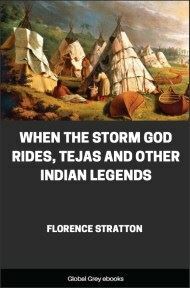 The timid rabbit who outwits the tyrannical bear, the wonderful turtle who marries the Indian chief's daughter, the pet crane who saves a family; these and many other legendary figures appear in Myths and Legends of the Sioux. 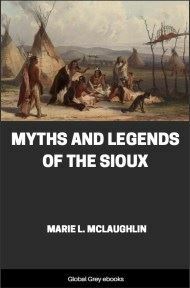 Marie L. McLaughlin, born to a white father and a mixed-blood Sioux mother, heard these stories while growing up among the eastern Sioux of Minnesota. When she recorded them for posterity in 1916 she had long been the wife of James McLaughlin, whom she served as interpreter during the years he was head of the Devils Lake and Standing Rock agencies and an inspector for the Indian Bureau. Once upon a time a prairie mouse busied herself all fall storing away a cache of beans. 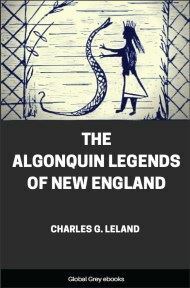 Every morning she was out early with her empty cast-off snake skin, which she filled with ground beans and dragged home with her teeth. "Cousin, I have no beans stored for winter and the season is nearly gone. But I have no snake skin to gather the beans in. Will you lend me one?" "But why have you no packing bag? Where were you in the moon when the snakes cast off their skins?" "I was busy talking and dancing." "And now you are punished," said the other. "It is always so with lazy, careless people. But I will let you have the snake skin. And now go, and by hard work and industry, try to recover your wasted time."